If you’re in search of a Paris excursion with a difference, our Montmartre by Night tour of Paris, is a must. From the cosy comfort of your 2CV, you’ll be able to look out on Paris at her finest in her garb of lights! 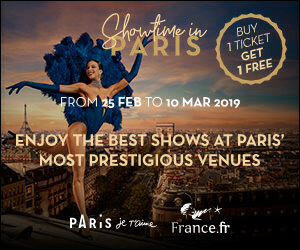 And to make sure that you enjoy a truly sparkling experience, this Paris excursion comes complete with a complimentary bottle of champagne. You’ll begin your Montmartre by Night tour of Paris with a drive along the Avenue des Champs Elysées to the Arc de Triomphe, before passing by splendidly illuminated monuments such as the Eiffel Tower, Invalides, Louvre and Notre Dame Cathedral. Your magical night time Paris excursion continues as you wend your way through Montmartre, sipping your glass of bubbly as you take in some of Paris’s best-known nightlife, including the Moulin Rouge and Pigalle district. Your night tour of Paris culminates – both figuratively and literally – at the Sacré Coeur basilica, from where you can gaze across the City of Lights, bedecked in her finest evening jewels! For a Paris excursion that will give you a lifetime of memories, a night tour of Paris by 2CV is simply unmissable.